It’s well know that smoking cigarettes leads to a multitude of illnesses and that it shortens your life. Even though smoking causes health problems one of the biggest problems is that the health related problems associated with smoking only really become apparent around the age of 40. Before that age, you don’t notice the shortness of breath and other related symptoms such as the persistent cough and lack of energy. The majority of people who decide to quit smoking fall into the age group of 40 and above. This is because at around 40 the effects of smoking cigarettes become apparent. The most common symptom is the lack of breath and energy. At this age, most people’s children have reached an age where they watching their parents as role models. They realise that not only are they a bad role model but also, they might not be around to watch them grow up. In other words, the reasons to quit smoking become more compelling. If I continue to smoke I might not be around for my children and grandchildren. In the past, we used to think that the damage that had been caused by smoking was irreparable. We now know that the body can repair the damage caused by smoking. The younger you are when you stop smoking cigarettes the faster and more things can be repaired. Smoking cigarettes is a bit like playing Russian Roulette. 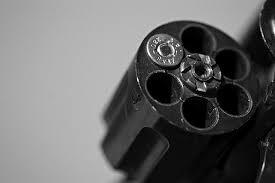 You are holding a six-shot revolver with one bullet and hoping that that bullet is not in the chamber when you pull the trigger. Don’t wait until you start feeling the effects of smoking because the earlier that you decide to quit smoking the easier it is for the body to repair itself. Previous	Why Did You Start Smoking?